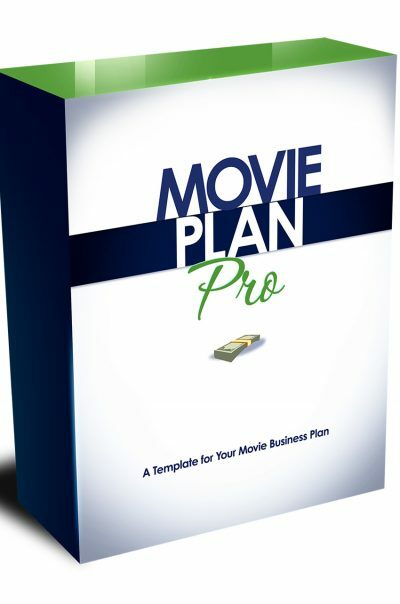 Are you frustrated because you know you need money to make a movie, but don’t know where to find it? Is the challenge of getting your film funded keeping you awake at night? All you want to to do is get your film made. At times, you’re desperate. You feel like you’d do ANYTHING to get your film going. Yet for whatever reason, you find yourself constantly wondering if your movie will ever get made… If this sounds like you, then I have good news. Read every word below. My name is Tom Malloy. 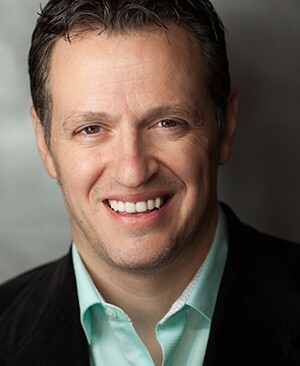 I have raised more than $25 million in private equity from independent financiers to produce nearly all the films that my company, Trick Candle Productions has made. And my goal is to share all of my film funding tactics with you. To help you raise money for your movies and avoid some of my mistakes, I have created the several products, all detailing my film funding system. 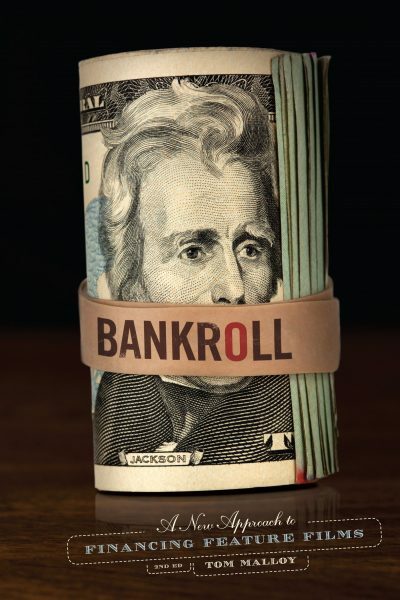 The first was the book BANKROLL in 2008, which became the gold standard book on the topic. A second edition came out in 2012. 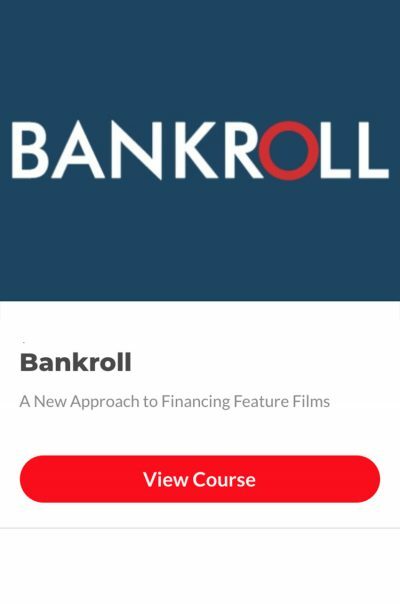 This was followed by the audio and video course the Film Finance Guide in 2016, and finally the ultimate resource, BANKROLL YOUR MOVIE, a video series of over 5 hours of content on how to make your dream come true. These film funding systems allows you to sketch out a simple strategy for finding and getting money from investors so you can make your movie. With any of these resources, you will get a real world, simple, bullet proof strategy for getting money from investors, from someone who’s actually done it. The film funding tactics contained in this system took me years to figure out. And if you don’t read it, hear it, or watch it, you could spend years blowing money on yet another outdated, useless filmmaking seminar. Aren’t you sick of the same old advice? While there is good information out there, there are just as many film finance “gurus” devoting entire lessons to stuff the average filmmaker will never do! And many of those experts have never actually raised money. With this film finance system, you WILL NOT get a whole bunch of page filler about foreign pre-sales, crowdfunding, doctors and dentists or how to buy a plane ticket to Cannes. Instead you will get my real world advice, based on actual experience! This film finance system is not theory. It is based on a decade of independent movie producing experience. 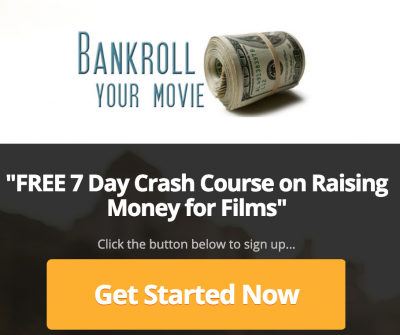 If you are a serious filmmaker and you are willing to follow this system, you will get the inside scoop on raising money from people who have actually done it. This way, you too will discover how to find, approach, pitch and close investors. Create a pitch so you actually get money and not rejection. Find out if your film passes the Insanity VS. Liability test. Make sure your film project fits The Number that can’t be ignored. Remove guesswork, find investors and raise money the right way. Stop asking permission and become your own movie studio. Follow the formula for prepping, approaching and closing investors! How About a FREE Product???? 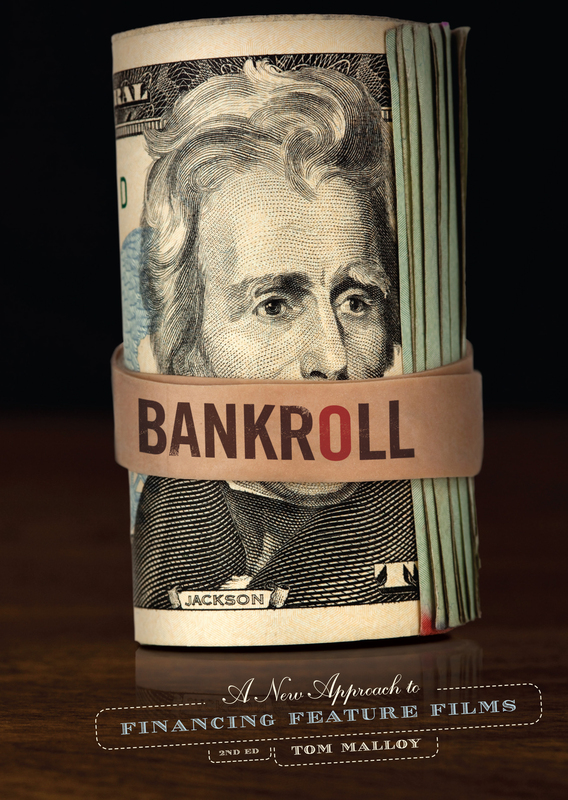 Bankroll, the book, was the first of my products to take off. The first edition in 2008 helped SO many filmmakers (at the Sundance Film Festival in 2011, thirteen people came up to me and told me how much the book had changed their lives!!). When the 2nd edition came out in 2012, it built on what was already established. 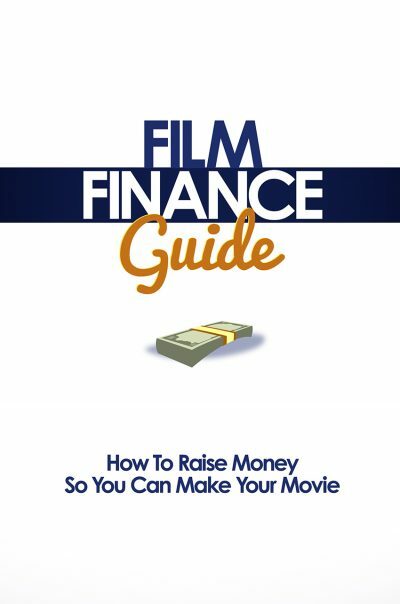 The publishers asked me to write a 3rd edition, but I wanted to focus on video presentations, and creating BANKROLL Your Movie and the Film Finance Guide. Right now, you can search the book on Amazon, and see that people are selling used copies for $200+!!! So what does this mean for you? I am offering two different courses via email, COMPLETELY FREE. Click on the links under PRODUCTS and you can have BANKROLL Information for FREE!! Tom understands what it takes to close an investor and to even find them! He is an excellent teacher and I highly recommend him. I left with tons of great ideas that are working for me every day. 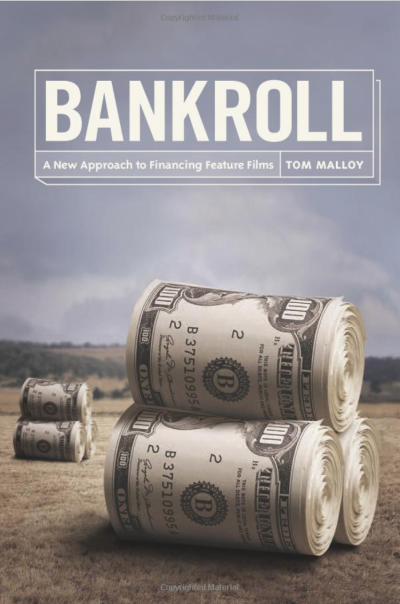 In this system, Tom Malloy demystifies one of the most misunderstood and most essential aspects of independent filmmaking: raising the money. Look, if you want to know about shoes, you go to a shoemaker. If you want to know about building things, you go to an engineer. But if you want to know about funding films, and making progress toward a dream, then call the man who’s done it – Call Tom Malloy. Tom’s willingness to share his experience and advice so openly has definitely helped launch us on our way to producing our first feature film. 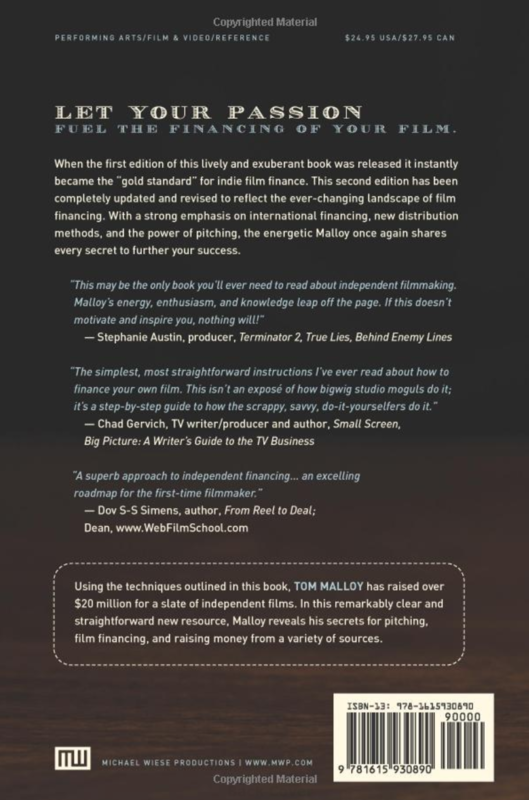 Buying Tom Malloy’s film funding information was money well spent! It’s action packed with tons of information that you can’t get anywhere else! And what I loved most is that Tom gives it to you straight, with no chaser. He helps you set realistic expectations, and then instructs you on the best way to execute them. The knowledge really helped me, especially the business plan info. You owe it to yourself and the movie you want to finance to buy this. – Derrick Richardson, Founder and CEO of Arthawk Entertainment Inc.
What If I Don’t Live In Hollywood? 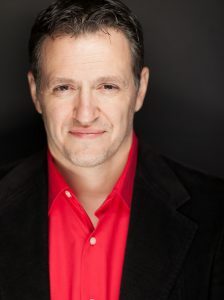 Even if you do not live in Hollywood or have any industry connections, you can still work the system from your location. These film funding strategies will enable you to find and get meetings with prospective investors. As long as you’re willing to do the work, in as little as a few months, you’ll be well on your way to approaching investors! How Much For The Ultimate Film Funding System? Because this professional film finance system is based on actual experience and not theory, a system like this could easily sell for thousands of dollars. In fact if you attended one of those weekend workshops, you’d probably pay nearly $2000. And if you do the research, you’ll find that most of those industry “gurus” have never even produced a movie! But we are not going to charge you anywhere close to that amount. In fact, your total investment for the flagship product, Bankroll Your Movie, with over 5 hours of video, is just $997 or $97/month. 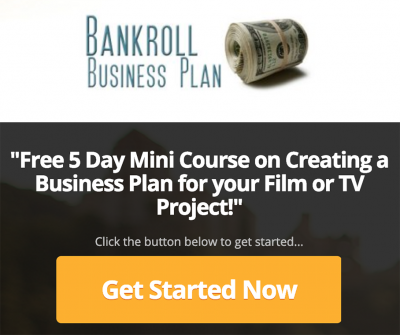 Using this system will more than jump-start your film financing strategy. And think about it: what you pay is less than a night out on the town. Without knowing these film finance secrets, you could spend years blowing money on yet another outdated, useless seminar. Aren’t you sick of the same old advice? For some reason all those other film finance, filmmaking gurus devote entire lessons to stuff the average filmmaker will never do! And on top of that, most fail to mention that most of that crap is outdated. So unless you’re looking to take a time machine back to 1999, I suggest you focus on the future. With this film finance system, you won’t get a whole bunch of page filler about foreign pre-sales and plane tickets to Cannes. UGH. . . These film finance systems are no-fluff. It’s based on a decade of independent movie producing experience. If you are a serious filmmaker and you are willing to follow this system, you will get a full dose of film financing ammo from a producer’s perspective. You’ll get the inside scoop on raising money from people who have actually done it. You’ll learn how to approach, pitch and close investors. Make a decision to change your life. Right now.